Family & Community Support Services in Banff strives to provide a high quality of life for all of our citizens. A variety of programs, activities and events as well as support, assistance and resources are available to residents aged 55+. 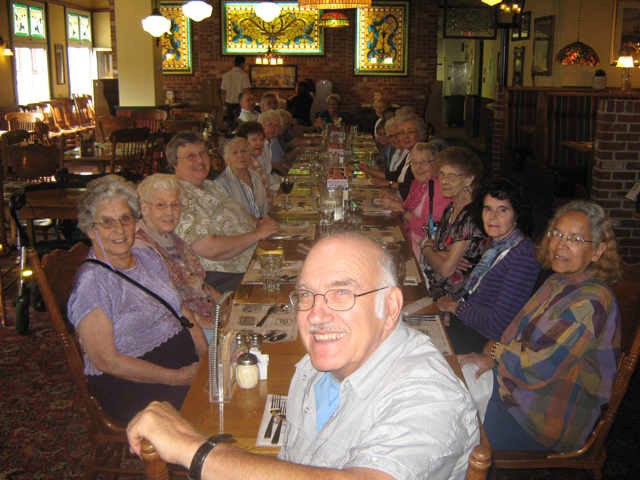 A Mountain Adventure Program for seniors offers outdoor programs gears to adults 55+. Each is led by a certified guide. Contact the senior support coordinator for more information. Enjoy a ride outside without the strain of too much pedaling. 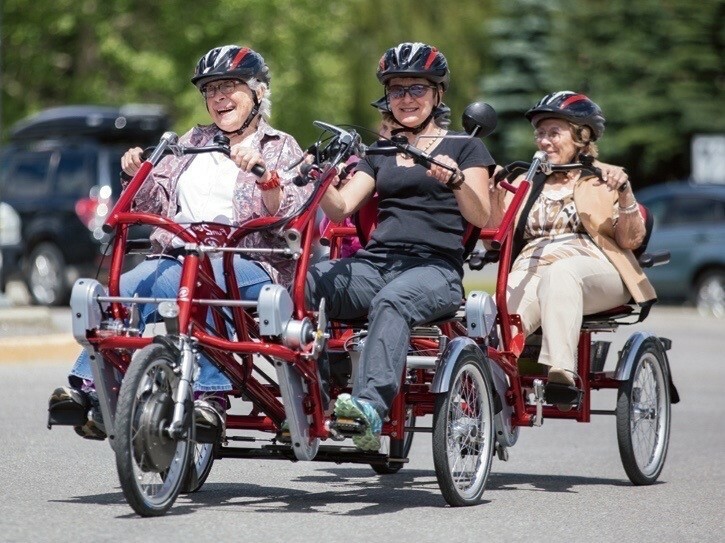 This four-person bike provides opportunities for greater levels of fitness, social connectivity, and it's a lot of fun. The exercise intensity will be moderate since the bike has a battery-assist boost to help with hills, headwinds or heavier loads. A volunteer bike pilot will provide the majority of the pedal power and there are options for riders to come for a gentle cruise to increase range of motion in their legs. The bike is fully adaptable for people with mobility issues or balance challenges.Participants can pedal as much (or as little) as they like. Helmets will be provided. to register. No medical referral needed. This bike is for adults and specifically for Banff residents. The purpose of the program is to provide at risk and vulnerable populations in Banff with opportunities for greater fitness and social connectivity to improve both their physical and mental health. We are looking to build a team of reliable, caring and dedicated individuals to pilot the bike. The Big Red Ride runs June 4 to September 27 on Tuesdays and Thursdays, 1:30-2:30 p.m. The Big RED Ride is a partnership between the Bow Valley Primary Care Network, the Town of Banff and Covenant Health.